With the weather more temperate and the streets less crowded, springtime is the best time to visit Spain. 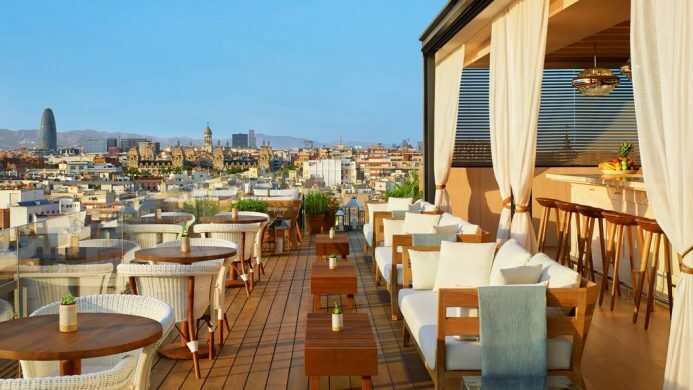 In part one of our series, we highlight the best hotels in Barcelona, a perennially sunny city offering equal amounts of urban pursuits and lazy beach days. 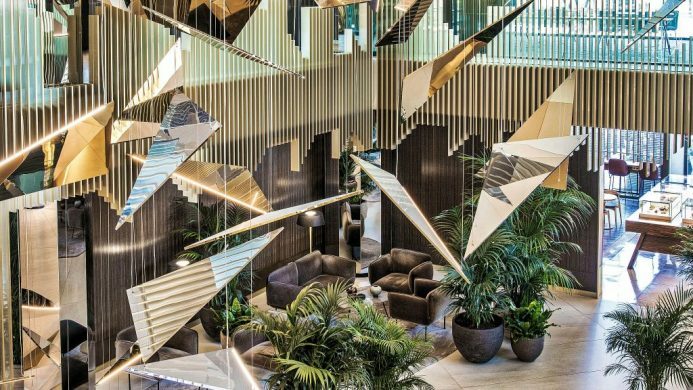 Hotel Arts Barcelona has it all—an unmatched location, cutting-edge architecture and plenty of amenities. Overlooking the marina and Frank Gehry’s golden fish, this recognizable landmark is home to five restaurants, the city’s only spa with a sea view and a collection of two level suites. Plus, there is more than 1000 square feet of outdoor space for soaking up the sun. Located inside a sail-shaped building on Barceloneta Beach, W Barcelona offers panoramic views of the Mediterranean Sea and city skyline. Blue-on-blue vistas span every room and suite, as well as the two pool decks and the penthouse club and lounge. At your doorstep is Barcelona’s famous beachfront. Overlooking Gaudí’s Casa Batllo on Passeig de Gràcia, Mandarin Oriental, Barcelona is unarguably one of the best hotels in Barcelona. 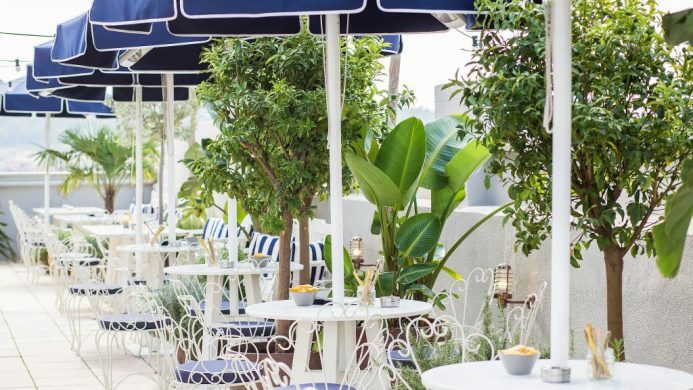 High fashion meets avant-garde design at this classic hotel home to Patricia Urquiola-designed rooms, a two Michelin-starred restaurant and one of the most enviable rooftops in the city. Within Barcelona’s golden triangle, just steps from Las Ramblas, Hotel MidMost Barcelona offers the most central location for exploring Gaudí’s enigmatic city. 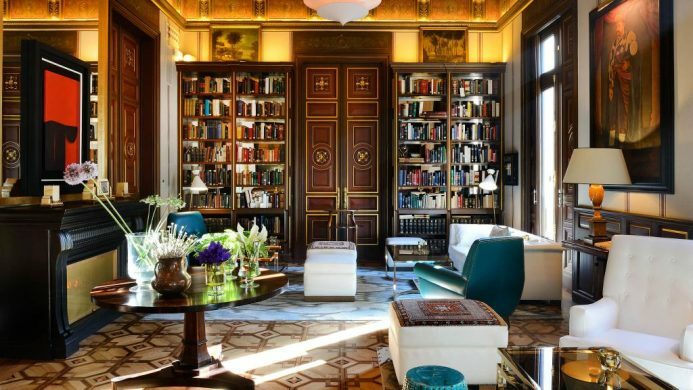 One of the coziest boutique hotels in Barcelona, it’s understated without sparing on luxury. They’ve got all the good stuff, including modern rooms with organic toiletries, health-conscious breakfast spreads and a roof terrace. A former stomping ground for the bourgeoisie, Cotton House Hotel is a slice of historic grandeur in Barcelona complete with original marble and spiral staircases and embellished ceilings, walls and floors. 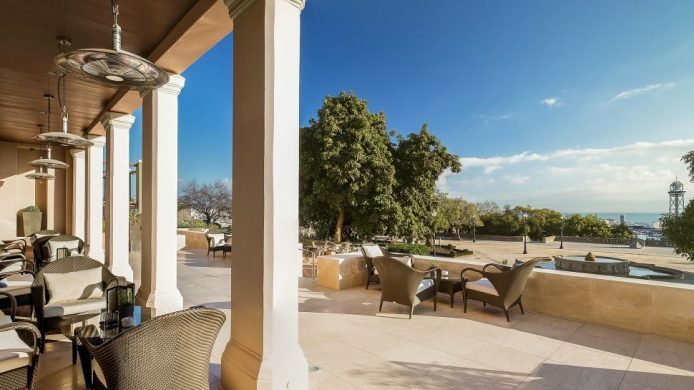 Now a luxurious urban oasis, the hotel has a rooftop pool, large garden terrace and gastronomic restaurant serving market-fresh Mediterranean cuisine. Opened in 2018, Almanac Barcelona is already one of the best boutique hotels in Barcelona. 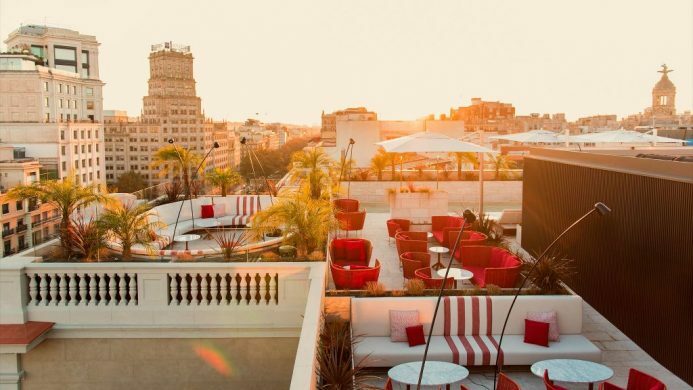 Not far from Passeig de Gràcia, this stylish hotel was designed for the modern traveler. 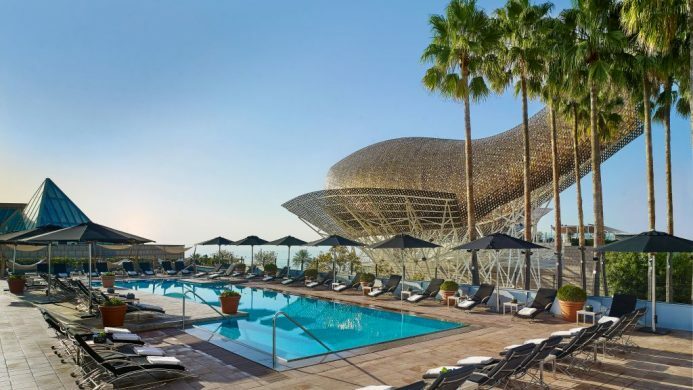 Hotel-provided smart phones connect you to the concierge throughout the city, the roof terrace is enclosed in glass for year-round views and, of course, there’s a rooftop pool. 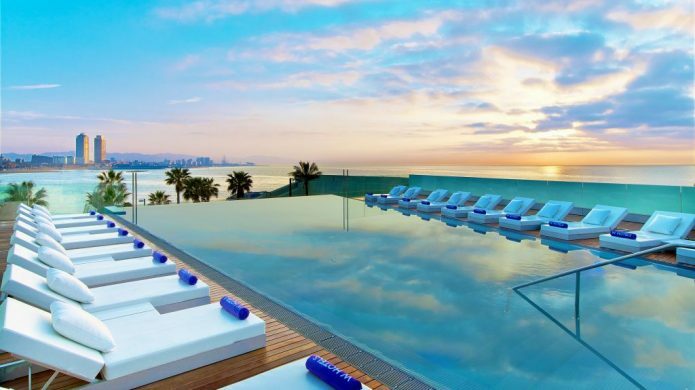 Perched atop Montjuïc Hill, overlooking the city and marina, the palatial Hotel Miramar Barcelona offers a resort-like getaway removed from the hustle and bustle. 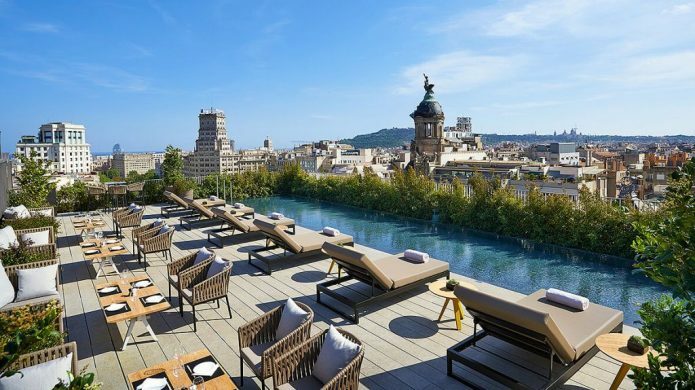 You can explore all of Barcelona’s diversions, only a 10-minute drive away, then retire back at this tranquil setting for poolside luxury, indoor and outdoor dining, and the Spa by L’Occitane. 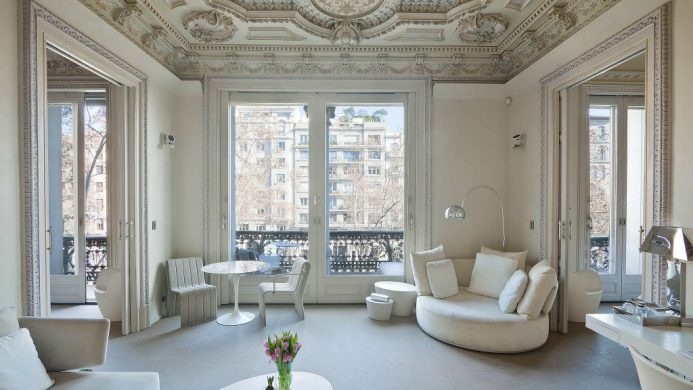 El Palauet Living Barcelona is your chic apartment nestled amongst the luxury shops on Passeig de Gràcia. Spanning 1600-square-feet with a full kitchen, their private suites are decorated with sculpted ceilings, wrought iron balconies and Egyptian cotton. 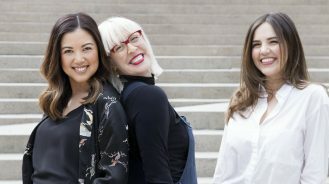 You won’t miss hotel services; there’s a team of personal assistants, and a rooftop bar and spa. Featuring elegant yet comfy rooms, suites and apartments, Murmuri Barcelona is your home away from home. 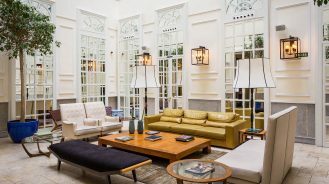 This contemporary hotel boasts a menu by Michelin-starred chef Nandu Jubany, plus a street level terrace ideal for people watching. 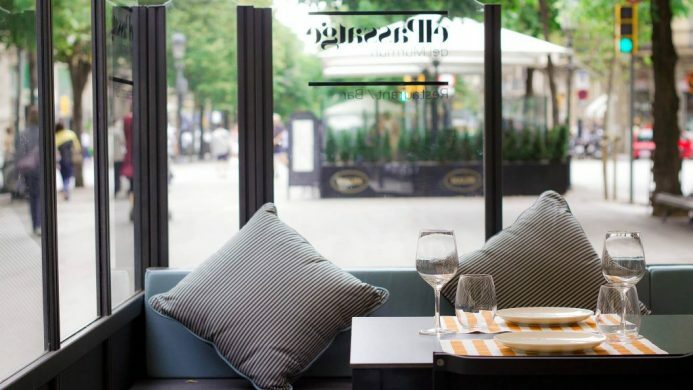 Right on vibrant Rambla de Catalunya, you’re also surrounded by many boutiques and restaurants. 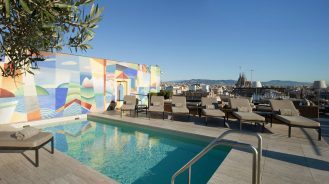 The newest hotel in Barcelona is as chill as its location in the El Borne district, the creative hub sandwiched between upscale Eixample, the Gothic Quarter and the beach. Unpretentious luxury will greet you in the form of calm, neutral rooms, a breezy rooftop terrace and locally-driven menus. Don’t miss the cabaret hidden in the basement. Hotel SOFIA Barcelona is your luxury hotel option near the Camp Nou stadium. This modern hideaway features designer rooms with automated technology, a spa with 1,000 square feet of wellness space and two gastronomic restaurants. At night, there’s a live dinner experience and in the warmer months, a garden pool for perfect summer days.